Republican presidential candidate Ben Carson has been described as the soft-spoken alternative to Donald Trump, but just because the neurosurgeon's delivery is a bit more subdued, that doesn't mean he's any less brash in his statements. 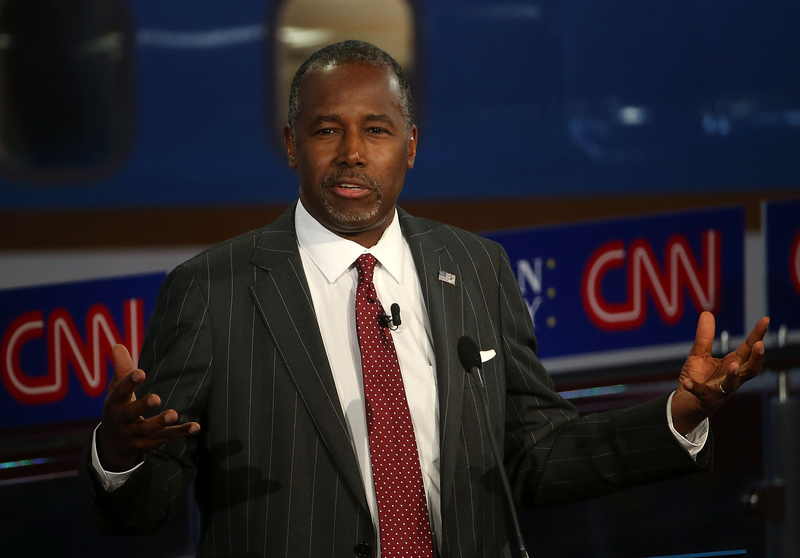 On a recent appearance on NBC's Meet the Press, Carson said he feels a Muslim should not be president, and the controversial remarks have angered many. Rather than apologize, Carson decided to blame reactions to his discriminatory statements on an overly sensitive society, but there have been plenty of insane times Ben Carson blamed political correctness for things that have come out of his mouth. The only way we fix that is fix the P.C. culture in our country, which only can listen to one narrative, and if it doesn't fit their philosophy, then they have to try to ascribe some motive to it to make it fit. That's how we fix it. We fix America, and we get people to actually start listening and be capable of understanding what is the principles of our country and our Constitution and stop trying to fit everything into a P.C. model. Someday in the future, it is my hope and prayer that the emphasis on political correctness will decrease and we will start emphasizing rational discussion of differences so we can actually resolve problems and chart a course that is inclusive of everyone. I detest political correctness. People died — they paid with their lives so we could have freedom of speech. And freedom of expression. And political correctness is the antithesis of that. In a 2014 op-ed penned to The Washington Times, Carson began an anti-Obamacare essay by describing the evils of high school peer pressure then transitioning to how it's so similar to political correctness. Maybe this metaphor is a walk down memory lane? The purveyors of P.C. seize upon a word or phrase, which they emphasize in an attempt to divert attention away from the actual issue that doesn't fit their narrative. ... Political correctness is antithetical to our founding principles of freedom of speech and freedom of expression. Its most powerful tool is intimidation. If it is not vigorously opposed, its proponents win by default, because the victims adopt a "go along to get along" attitude. The people have become silent, very much like the people in Nazi Germany were silent. Most of them did not agree with what Hitler was doing but they kept their mouths shut and you see what happened. And exactly the same thing will happen to the freedoms that we enjoy in America and the kind of nation that we've had if people don't speak up. They need to rise up, they need to say to political correctness: "Take a hike. This is who we are, this is what we believe in, these are principles that allowed us to become the pinnacle nation in the world in record time and we're not about to throw them out of the window for the sake of political correctness." They [Rome] were extremely powerful. There was no way anybody could overcome them. But these philosophers, with the long flowing white robes and the long white beards, they could wax eloquently on every subject, but nothing was right and nothing was wrong. They soon completely lost sight of who they were. We have people trying to manage the military who know nothing about the military, who know nothing about military strategy. Our military needs to know that they're not going to be prosecuted when they come back because somebody says, "You did something that was politically incorrect." There is no such thing as a politically correct war.